The network is up and running but you are unable to access the Linksys router’s web-based setup page locally using http://myrouter.local. Instead, you can log in through 192.168.1.1. QUICK TIP: Malware (or malicious software) refers to any computer application that can alter your normal computer operations. It is capable of gaining unauthorized access to your computer, getting confidential information, and exposing it to numerous security risks. Go to your computer and set static DNS values. 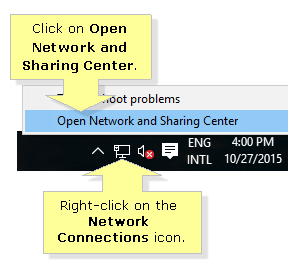 To do this, right-click on the Network Connections icon located on the system tray, then click on Open Network and Sharing Center. NOTE: A computer running on Windows 10 is used here as an example. 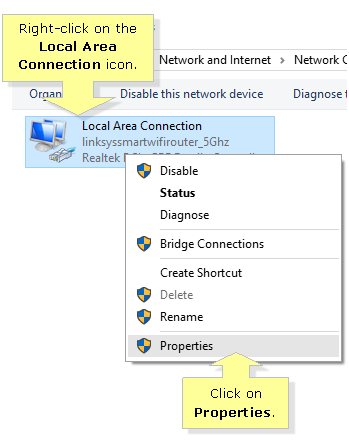 Right-click on the Local Area Connection icon and click on Properties. 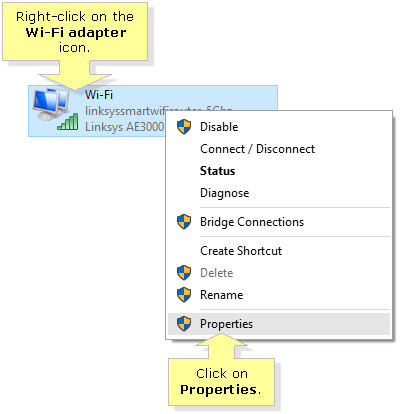 NOTE: If the computer you are using is wireless, right-click on the Wi-Fi adapter icon instead and click on Properties. 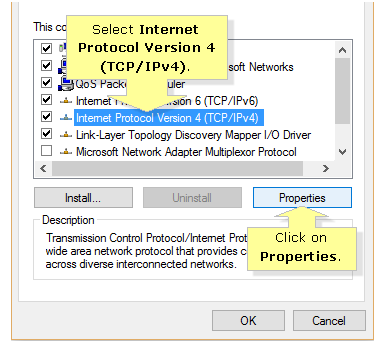 Ensure that the Use the following DNS server addresses option is selected. 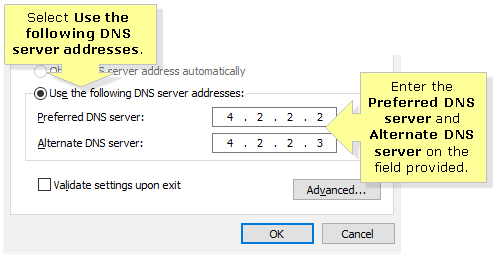 Then, enter the necessary information in the Preferred DNS server and Alternate DNS server fields. NOTE: You can use the generic DNS values below, or you can also use those from your Linksys router. 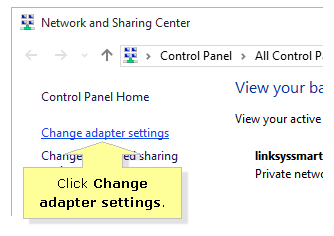 For instructions on how to check the DNS servers on a Linksys Smart Wi-Fi Router, click here. Lastly, scan for malwares on your computer and make sure that your antivirus software is up-to-date.